The Medieval people of the Middle Ages shared a common life in the work of the fields, in the sports of the village green, and in the services of the parish church. They enjoyed many holidays; it has been estimated that, besides Sundays, about eight weeks in every year were free from work. Festivities at Christmas, Easter, and May Day, at the end of ploughing and the completion of harvest, relieved the monotony of the daily round of labor. Who were the people who provided the entertainment during the Middle Ages? 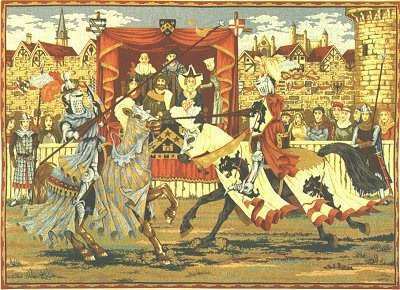 The Medieval entertainers of the Middle Ages including Jesters (A fool or buffoon at medieval courts), Mummers (Masked or costumed merrymaker or dancers at festivals), Minstrels and Troubadours, acrobats and jugglers and conjurers. Outdoor entertainment also included the practices of certain festivals including May Day when people danced around a maypole and choose a May Queen. Religious plays were re-enacted by the Mummers. entertainment for rich people during the Middle Ages. During the feast musicians would play and provide musical entertainment. 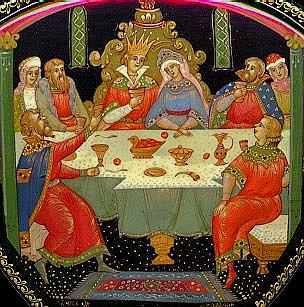 After feasting entertainment might be provided by minstrels, troubadours, jesters, acrobats, fire-eaters and conjurers. The dance was also important as part of "courtly love" entertainment. 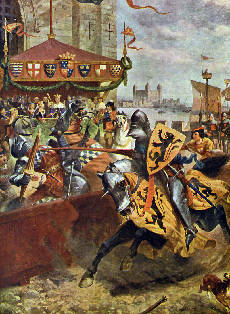 Knights were expected not only to fight but also to dance.